Is the ‘People’s Vote’ Tony Blair’s trojan horse back into mainstream Politics? By TruePublica editor: On 1 February 2018, The Guardian reported that a grassroots coordinating group (GCG) representing more than 500,000 members opposed to a hard Brexit had formed, with Labour’s Chuka Umunna (more on this later) as its leader. Later that month it was reported that George Soros’s Open Society Foundations had donated £182,000 to European Movement UK and £35,000 to Scientists for EU, two of the grass-root groups. The Observer revealed in April that Simon Franks, who founded the LoveFilm movie-streaming business established the Project One Movement UK Ltd last summer and the company was expected to be a vehicle for a new centrist party. One person who was approached to join the fledgeling organisation was told Euan Blair was on its board, other sources confirmed the same. Tony Blair was in on the project and ‘advising’. In September, the FT reported that – Tony Blair has hinted that a new UK centrist party might emerge in the coming months, saying that the public will want “an acceptable choice” at the next general election. “I don’t think the British people will tolerate a situation where, for example, the choice at the next election is Boris Johnson versus Jeremy Corbyn,” he said in a BBC interview. “I just don’t believe people will find that, in the country as a whole, an acceptable choice. Something will fill that vacuum” – said Blair. One idea said the FT, was one being considered by centrist politicians unhappy with the more left-wing stance of Jeremy Corbyn’s vision of the future and a warring Tory party is to form a new pro-EU party after Brexit. Has Tony Blair got a trojan horse back into mainstream British politics through Brexit? On Saturday, Tony Blair made a speech on the People’s Vote platform at the Royal Academy. Margaret Beckett turned up somehow representing the People’s Vote, and on Newsnight last week was one Peter Mandelson crowing about the same. So there’s an obvious question to ask. Who exactly are “the People’s Vote” and most of all, who agreed that Tony Blair and his disciples should speak for them? The People’s Vote as a campaign is of course centrally controlled like any other organisation. They are located in the same office as Open Britain located at Millbank Tower in London. They literally have the same address – they are, to all intents and purposes the same organisation. Open Britain predominantly doesn’t want a vote on the Brexit deal or second referendum as much as they want to Remain a member state of the European Union. Open Britain is a Limited company and registered at Companies House. It has had 27 ‘persons with significant control’ – 16 of whom have resigned since its incorporation on 16th June 2015, six months before David Cameron announced his intention to hold the EU referendum. Peter Mandelson is a director. His co-exec director is Joseph Carberry currently Director of Corporate Communications at Deliveroo. Carberry was a political advisor to the Labour party vice chair in 2013, was head of research at the Labour party in 2014. He was an advisor to David Miliband and special advisor to Peter Hain. These are all names associated with Tony Blair’s Labour party. Another Director of Open Britain is James McGrory, special advisor to the deputy PM in 2013 and senior policy advisor to No10 in the last days of New Labour. Then there is Trevor Phillips who is another listed director. His long-standing friendship with Peter Mandelson (who worked with Phillips at LWT and was best man at his first wedding) brought him close to the New Labour project and he became friendly with Tony Blair. Phillips joined the Labour Party in London in 1996. He was made an Officer of the Order of the British Empire in the 1999 New Year Honours list. Their relationship was so close that Phillips was initially reported to be Tony Blair’s preferred choice for the role of London Mayor in 1999. Another director is ‘Establishment’ figure Michael Rake. He was president of the CBI, trustee of the Princes Foundation, board member of the Guards Polo Club, governor of Wellington College – the list of his achievements goes on. He was knighted in 2007 under Tony Blair’s government. Rake has also heavily supported Tony Blair’s position on leaving the EU. Also on the board of Open Britain is John Reed. He was a Member of Parliament from 1987 to 2010, and served in the Cabinet under Prime Minister Tony Blair in a number of positions. He was Health Secretary from 2003 to 2005, Defence Secretary from 2005 to 2006, and Home Secretary from 2006 to 2007. He was a leading campaigner against the Alternative Vote and was against Scottish independence. You don’t get more New Labour, or Blairite than Lord Reed. Then there is Roland Rudd – brother of Amber Rudd. Rudd is a known centrist. He is chairman of Business for New Europe and a member of the Centre for European Reform‘s advisory board. Peter Mandelson features once again as he is godfather to one of Rudd’s children. Rudd campaigned for Mandelson in his Hartlepool constituency in the 2001 general election. Rudd was one of the “Four Wise Men” who advised Blair in 2007 on life after leaving office. June Sarpong, the TV presenter, interviewed Tony Blair for a T4 special, When Tony Met June, which aired in January 2005. In August 2014, Sarpong was one of 200 public figures who were signatories to a letter to The Guardian opposing Scottish independence in the run-up to September’s referendum on that issue. In October 2015, she joined the board of the Britain Stronger in Europe campaign, lobbying for the United Kingdom to remain in the European Union. She is now a director of Open Britain. Lastly, there is Will Straw CBE. He is a British policy researcher and Labour Party politician. Along with Euan Blair (son of Tony Blair), Stephen Kinnock (son of former Labour Leader Neil Kinnock) and Joe Dromey (son of Labour MPs Harriet Harman & Jack Dromey), Straw has been criticised for being a ‘Red Prince’ which refers to the son of a Labour politician who goes into politics. Straw was the executive director of ‘Britain Stronger in Europe’, who have strong ties to Open Britain. Lord Mandelson, Roland Rudd and Will Straw are well known to each other, especially with campaigning to halt Brexit. I mentioned earlier Chuka Umunna. Tony Blair backed him to become the next Labour party leader in 2014 if Ed Miliband failed at the general election in 2015. Umunna is well known to be friends with Blair and Mandelson. 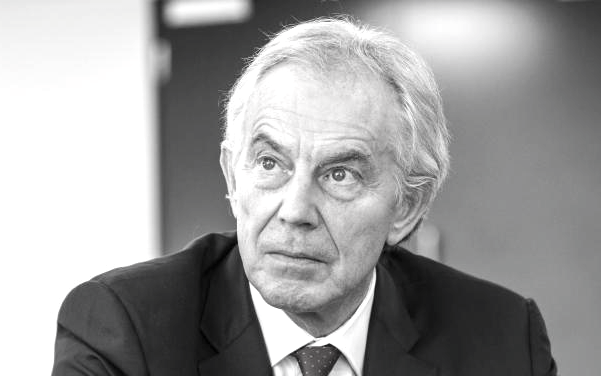 So, is it fair to ask the question – Is Tony Blair using the so-called People’s Vote via Open Britain merely to get a foothold back into mainstream politics in Britain? And is it right that he should exploit this important moment in Britain’s future merely as a vehicle for his return?